On arriving at the Amritsar airport/railway station, get received, assisted and transferred by our tour representative to get checked into your pre-booked hotel in Amritsar. After freshening up in your hotel, step out for the city sightseeing tour of Amritsar. During your tour, visit Golden Temple (Harmandir Sahib or Darbar Sahib). 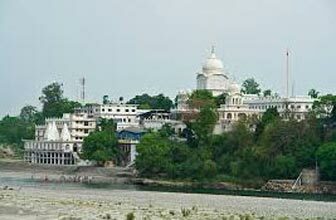 Also visit Gurudwara Sahiba Sahib (Gurudwara Baba Deep Singh Jee Sahib). Later, get back to your hotel to stay there all the night long. After taking your breakfast, get driven to the Gurudwara Tarn Taran Sahib, dedicated in honor of Guru Ram Das. After taking your Darshan, get driven to the Gurudwara Goindwal Sahib, founded by Sri Guru Amar Das Ji. After this, visit Khadoor Sahib, the family home of the 2nd Guru Sri Guru Angad Dev Ji. In the evening, get driven back to your hotel in Amritsar to spend overnight there..
Have your breakfast and get driven to Bathinda. On getting there, get checked into your pre-booked hotel and step out for visiting Takht Sri Damdama Sahib, located in the village of Talwandi Sabo near Bathinda. Later, get back to your hotel in Bathinda to stay there all the night long. After relishing your breakfast, get driven to visit Anandpur Sahib, the birthplace of the Khalsa. 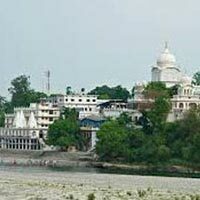 Also visit Gurudwara Kiratpur Sahib. Later, get checked into your pre-booked hotel in Anandpur Sahib to spend overnight there. Have your breakfast and get driven to Manikaran Sahib. On arriving there in the evening, get checked into your pre-booked hotel to stay there all the night long. After taking your breakfast, step out for visiting Gurudwara Manikaran Sahib, the holy place of the Sikhs. After taking Darshan, get driven to Chandigarh. On getting there, get checked into your pre-booked hotel to spend overnight there. Take your breakfast and get driven to Paonta Sahib. On getting there, get checked into your pre-booked hotel and step out for the Darshan of Gurudwara Paonta Sahib. After taking the Darshan, return to your hotel to stay there all the night long..
Have your breakfast and get driven back to Chandigarh to get transferred to Chandigarh railway station/airport to catch your flight /train to your required destination. And now your tour ends with sweet memories..